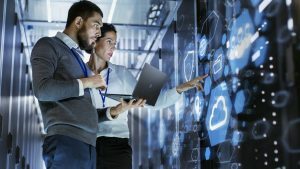 Multi-Cloud Strategies for Enterprises | HOBI International, Inc. According to a recent IDC and Zerto report, 43 percent of organizations are planning a cloud-first IT strategy as a high priority project to take place within the next 12 months. However, the cloud is no longer just a “one-and-done” technology. Instead, it is a multi-channel strategy that organizations need to be prepared for. According to Gartner reports, nearly 70 percent of enterprises will be implementing such a strategy by 2019. Doing so is an attractive prospect for any organization. Simply knowing the benefits of the cloud, however, isn’t enough to succeed with a multi-cloud strategy. Multi-cloud brings any number of cloud options, both public and private, to businesses. In the public-cloud realm, options range from platform-as-a-service environments to software-as-a-service offerings. In addition, private-cloud providers can offer more-specialized and more-targeted end-to-end services that are entirely managed to help businesses meet their objections. Therefore, an organization looking to adopt the cloud should identify the ways in which it consumes critical services and applications before deciding on the best options. This approach applies to both internal and external user — both will determine the impact and practicality of implementing a cloud platform. Although using the cloud for file sharing or storage can be straightforward, moving applications from on premises to the cloud is harder: They can’t simply be dragged and dropped into the cloud environment. Some redesigning is necessary to maximize flexibility. When moving to the cloud, organizations must consider the application’s format, composition and purpose. For example, unlike on-premises applications, many cloud-based alternatives are designed as a collection of individual services, all drawn from data that can reside in an entirely different repository. Once an organization has selected multiple cloud environments to form a multi-cloud strategy, the issue becomes maintenance and monitoring. A company’s cloud needs today might be different from those of tomorrow. The plan must therefore be flexible and continually monitored to ensure maximum net benefit. A solution that permits change in line with evolving business needs — all while avoiding vendor lock-in and removing risk — will provide the best chance of success with multi-cloud and the greatest overall benefit for the organization. How Will Blockchain Revolutionize Software Asset Management?